Whether or not Buddy Rich is the greatest drummer in jazz history might be the least interesting question surrounding this singular artist. Born in Brooklyn on Sept. 30, 1917, Rich died three decades ago at the age of 69, his status as a household name undiminished until the end. And what’s striking today is that while the sturm und drang surrounding other era-defining jazz controversies has largely faded away—try raising a ruckus with a denunciation of Miles’ fusion—Rich has lost none of his argument-starting mojo. Part of what makes the drummer a lightning rod is that his legacy extends far beyond the world of jazz. Rich wasn’t just a preternaturally gifted musician who started working in vaudeville as a toddler and took on the primary provider role for his family in his early teens. He was also a fine singer, a skilled tap dancer and a supremely self-confident raconteur who became a ubiquitous fixture on talk shows in the 1960s and ’70s, when network TV blithely reigned as the most pervasive and powerful cultural force in the United States. Many of rock’s most famous drummers cited Rich as a primary influence, which is why he’s often the only jazz cat included on clickbait listicles purporting to reveal the trap set’s greatest practitioners. What is it about the drums that inspires the need for superlatives? 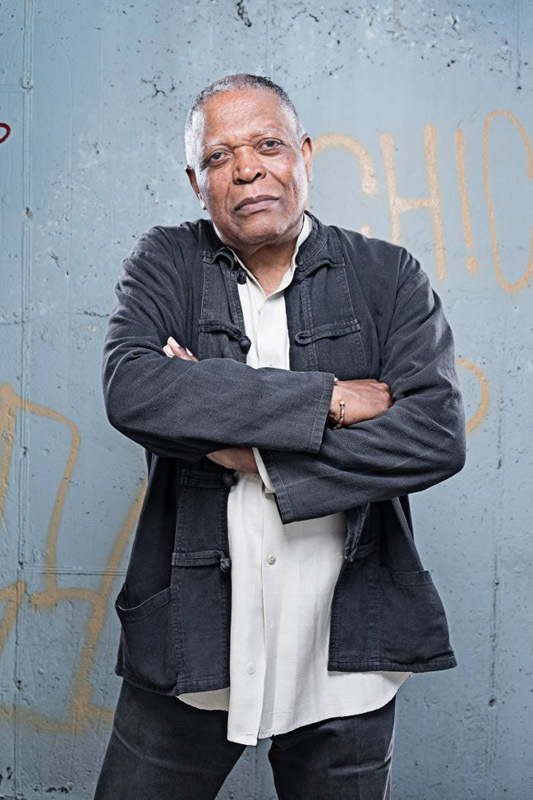 In jazz we talk about our favorite bassists, saxophonists and guitarists, embracing the wondrous individuality of a multigenerational array of masters. We don’t say Sonny Rollins, Coleman Hawkins, Lester Young or Trane was the Best Tenor Saxophonist Ever. Maybe it’s the athletic quality of the instrument that leads to the kind of categorical claims delineated by Steve Smith, who spearheaded the excellent Rich-alumni project Buddy’s Buddies. Smith makes a compelling case, and few take issue with Rich’s enduring influence. What raises hackles is how his long shadow can obscure the vast contributions of his fellow drummers. And the fact that Rich’s visibility was inextricably linked to his race amplifies the emotions around his contested claim as the Greatest of All Time. Analogies between sports and jazz are often more entertaining than elucidating, but discussions about Rich often echo the endless G.O.A.T. debates over Lebron James and Michael Jordan (with the ancillary dispute about whether you can meaningfully compare figures from different eras). More telling than the G.O.A.T. fight is the enduring disagreement over who should receive the NBA’s Most Valuable Player Award, with some arguing that the honor should go to the most dominant figure and others maintaining that the trophy belongs to the player who contributes the most to his team. Rich seems to inspire the same kinds of discussions. When we talk about Buddy, we’re talking about the nature of genius and what we value most in a jazz artist. However you feel about the way he played time, Rich tends to stand alone, and I don’t mean as the G.O.A.T. 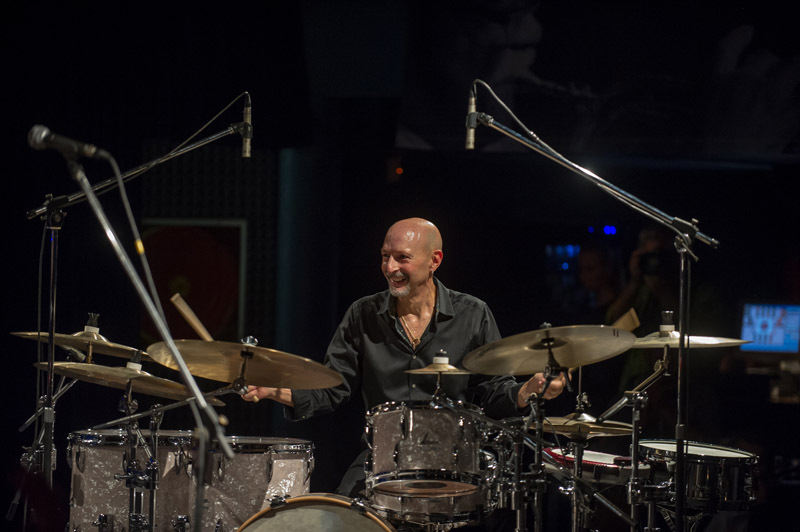 Just about every other major drum innovator made their definitive contributions within the context of specific rhythm sections and bands, as part of a larger gestalt. 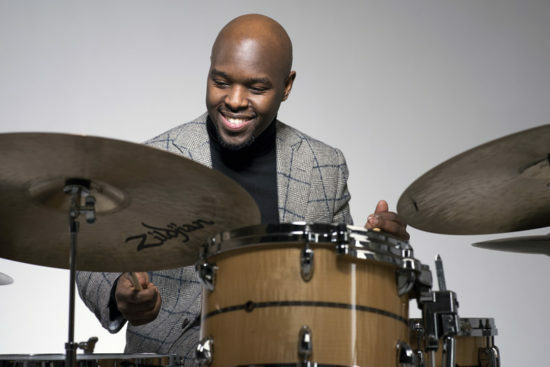 Think of his rough contemporary Papa Jo Jones in Basie’s All-American Rhythm Section, Elvin Jones with Jimmy Garrison and McCoy Tyner, or Tony Williams with Ron Carter and Herbie Hancock. Strickland’s post quickly garnered more than 100 comments (mostly from drummers), with some passionate partisans rushing to Rich’s defense, even though Strickland had merely expressed a preference for other players. And really, he’s got a point. As a faithful, tithing member of the Church of Billy Higgins, I get this. It’s particularly galling that so much of Rich’s notoriety outside of jazz stems from the infamous bus tapes that captured the drummer berating his band. Made by pianist Lee Musiker between January of 1983 and January of 1985, the tapes circulated for years like samizdat before the Internet made them widely available, complete with transcripts. Long before they surfaced online the rants became fodder for comedians, including Larry David and Jerry Seinfeld, who worked several Rich-isms into Seinfeld scripts. But in the widely watched clip of Seinfeld detailing how he repurposed three quotes from Rich rants as lines of dialogue, the joke is on Jerry. He seems to misunderstand the motive for Rich’s rage, saying the drummer is mad because the band is playing too loudly, when of course he’s irate because he thinks the musicians were playing badly, loud. As Mel Tormé captured so vividly in his affectionate biography Traps: The Drum Wonder, Rich could be irrepressibly immature. Tormé doesn’t defend Rich’s conduct, but he does make it clear that he was generous to a fault, and carried a burden from a childhood laden with adult responsibilities. Indeed, looking at the life trajectory of so many child stars, Rich comes out looking pretty darn good. And it’s easy to forget the timeline when it comes to Rich, as he was such an unprecedented prodigy. He was headlining in vaudeville in 1921, when Louis Armstrong was still playing on riverboats with Fate Marable. Tommy Igoe, the son of the late great studio drummer, teacher, jazz player and close Rich colleague Sonny Igoe, knew Buddy well growing up and speaks avidly about Rich’s brilliance. He’s put together several concerts this year celebrating Rich’s centennial, including a bravura show at Yoshi’s in July. 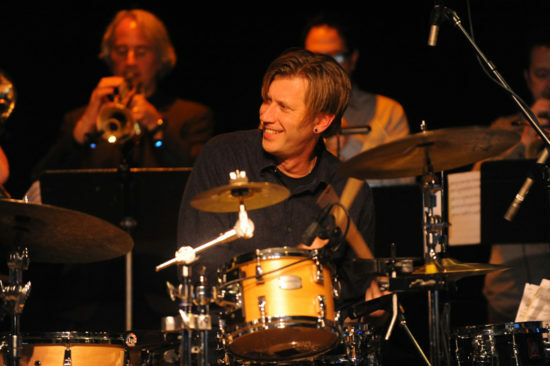 Fronting a talent-packed orchestra, Igoe played charts from Rich’s big band, including fierce versions of Don Menza’s “Groovin’ Hard” and “Time Check,” a dynamically rhythmic, tidal-force take on Mike Abene’s “Birdland,” and a huge, walloping finale of Bill Reddie’s West Side Story medley. Catching up with Igoe after the gig, he talked about how Rich’s music doesn’t always translate well in less accomplished hands. 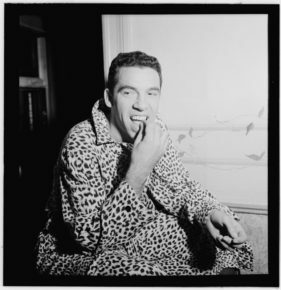 Frankly, the debate about Buddy Rich reveals more about our taste than his. At 100, Rich’s legacy is inextricably woven into jazz’s lustrous rhythmic fabric, and one needn’t parse his particular position in the firmament to marvel at his astonishing gift.